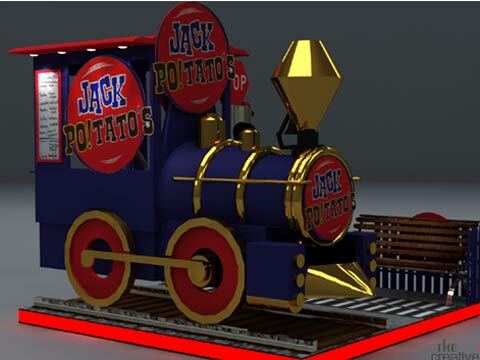 Jacket potatoes have been consumed in the UK market for long, and to introduce this to Indian market, Mehul Sharma, Owner, Jack Potatoes India, has come up with all new customised menu to introduce the concept to Indian market. How did the idea of serving Jacket Potatoes come? How did you develop it into a model? Back in the UK, it is one of the most sought after foods and we thought of getting the same in India with an Indian twist, since the country is going through exciting times in the food and beverage industry and I believe this is the best time to launch jacket potatoes. What is the investment so far? Is it internal funding or have you taken some investment or loan? It is internal funding only. Who do you see as your target customer as I believe people still believe eating potato as unhealthy eating? Our target customers include children and adults across various age groups who want to experiment and understand the goodness of potatoes, best eaten when baked and eaten with the skin. Potatoes have extremely low quantities of fat and when baked and eaten with skin, has amazing health benefits. What are the different menus served at your restaurant? We have a combination of vegetarian, non vegetarian jacket potatoes with different toppings and a very exciting kid’s menu. When are you planning to launch the outlet? Tell us something about the design element of the outlet? We will be ready for the launch by first week of October 2015. The design element is very unique and different and not like a regular kiosk. The idea is to get the feel of British food in India. What is the size and seating capacity? It’s a take-away outlet. It’s about 100 sq ft.
Tell us about your special design of the product for kids. Do you have a licensee for this? We are doing special menu, with unique merchandise and mascot to appeal kids. A very exciting story about our mascot will be a runaway hit with children. What is your expansion plan (no. of outlets, target cities)? We are looking at opening multiple outlets in all reputed mails in Delhi NCR and then take the model to various metro cities in the country customising the taste as per local taste. Are you in talks with investors for external funding? No, not at the moment. However, would initiate the process in due course of time. Indian Restaurants set to cross boundaries with ma..